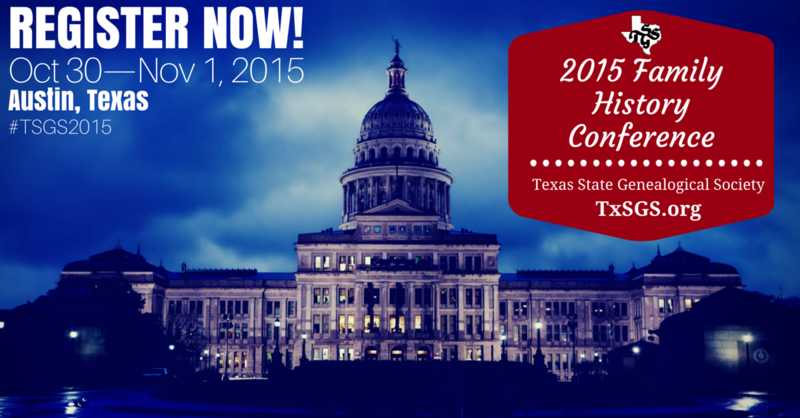 This week I am excited to be attending the Texas State Genealogical Society (TSGS) 2015 Family History Conference. 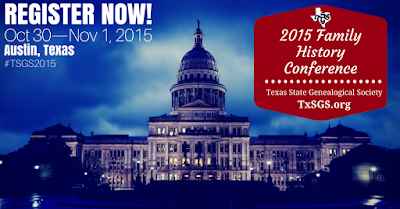 This premier annual Texas genealogical event will begin this Friday, October 30 and run through Sunday, November 1, 2015 at the Crowne Plaza Austin, 6121 North Interstate Highway 35, in Austin, Texas, and everyone is invited! We are particularly pleased to welcome, not one, but two keynote speakers this year, J. Mark Lowe and Lisa Louise Cooke. The breadth and depth of knowledge they bring will provide a well rounded experience for every attendee. In addition to a great lineup of speakers, I am looking forward to networking with other genealogists from throughout Texas. At the banquet on Saturday night, I will begin my term as District 4 Representative to the TSGS Board. 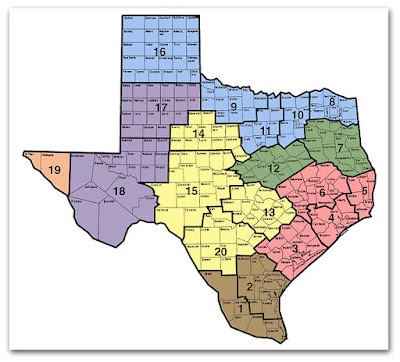 District 4 is comprised of the counties of Brazoria, Chambers, Fort Bend, Galveston, Harris, Liberty, and Walker. I look forward to the opportunity to get to visit with these societies in the coming years of my term. TSGS has divided the state into 20 districts. Each of the District Representatives serves on the TSGS Board of Directors. My plan is to serve as follows: 1) represent TSGS within my geographic district; 2) actively solicit membership in TSGS; 3) contact each society in the district to offer assistance and seek support; 4) serve as a resource for genealogical education programs in the district; 5) offer assistance with policies, procedures and programs to enhance services to the membership of each society. 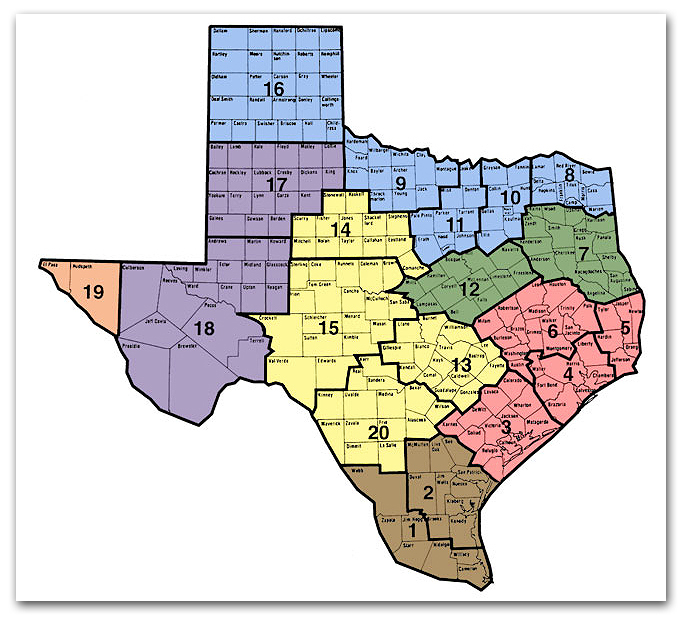 District 4 of TSGS is comprised of the counties of Brazoria, Chambers, Fort Bend, Galveston, Harris, Liberty, and Walker. If you live in District 4, please contact me and let me know if you are a member of a genealogy or historical society in the district. I would like your help making arrangements for a visit to your society. If you are not a member of a society, I can help you find a society that is close to you or that covers your ethnic research interests. If you are a member of an ethnic, local, state or national genealogical society that is planning events in the district, please contact me and let me know so I can help you promote your events. 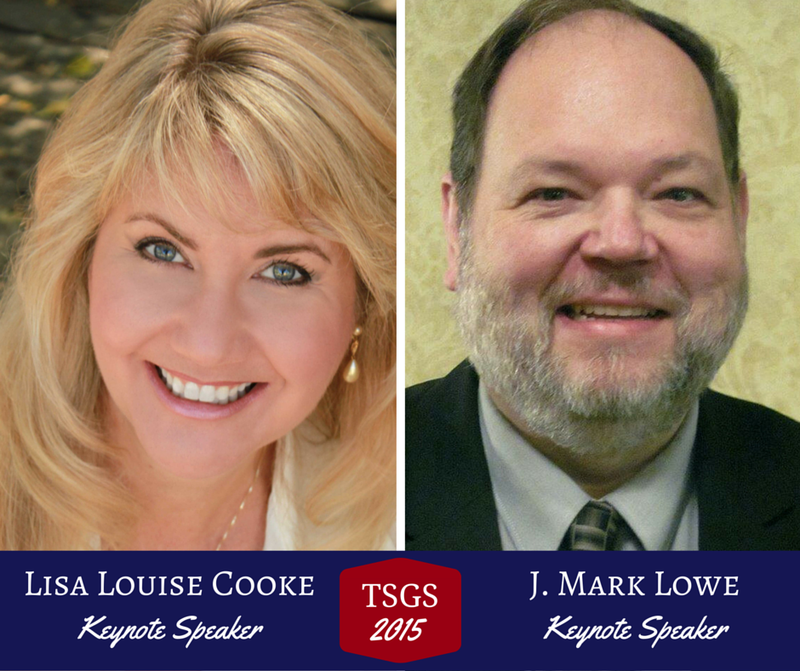 If you are going to be in Austin this weekend, please let me know so we can meet up at the TSGS Conference. Check out the full schedule of sessions, workshops and other events!